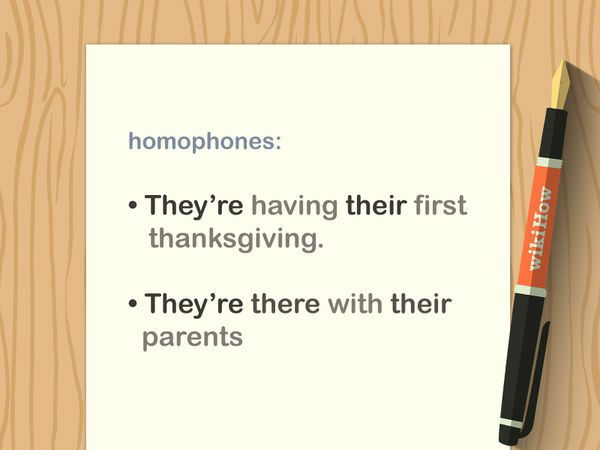 In this day and age, it’s easy to check your grammar with a number of different resources. Use your word processor’s grammar-checking program as you work. Once you finish writing, check your piece using a grammar-checking website or software. In addition, have someone else review your piece, and proofread it yourself after you take a break. By using different resources and knowing the basic grammar rules, you can draft clear, polished writing. Word-processing programs like Microsoft Word often come with a built-in spelling and grammar checker. 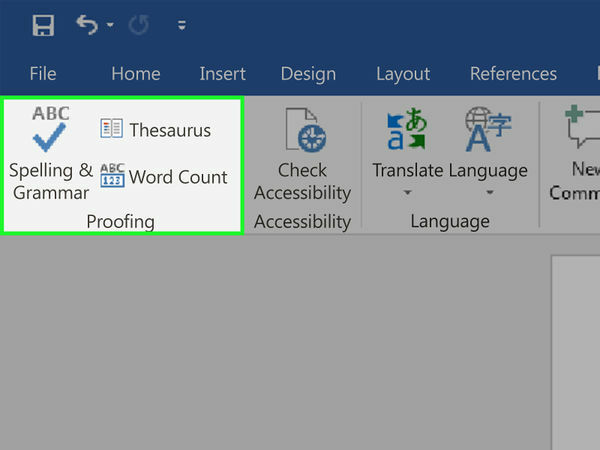 This program automatically checks your writing as you work, underlining misspelled words in red or incorrect grammar in green. To see the program's suggestions, simply right-click on the underlined words. 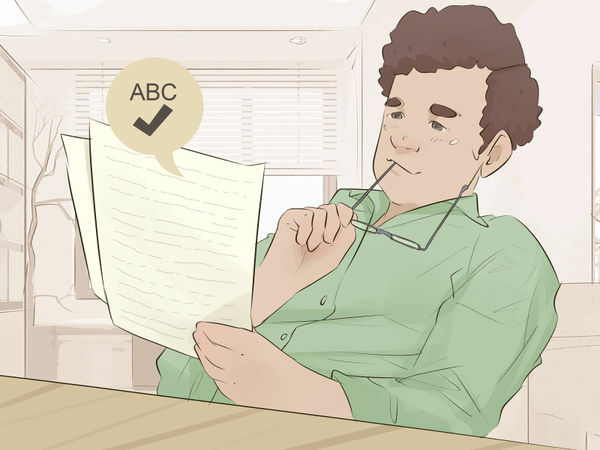 While the word processor’s grammar-checking software is a helpful tool, the program may not catch all grammatical errors, and it definitely will not catch every spelling error. The software may also flag writing that is actually correct as an error. 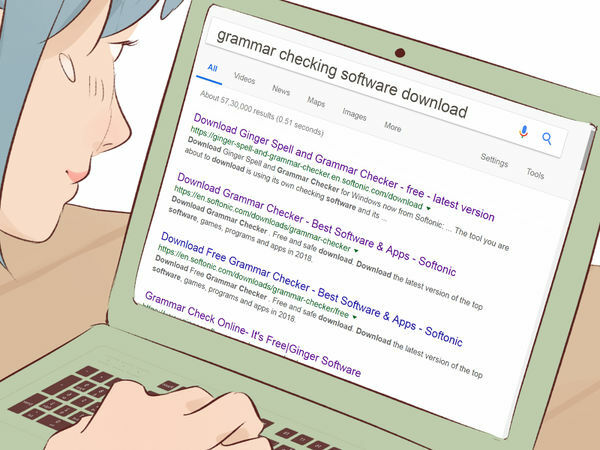 Use this software in addition to other grammar-checking resources. 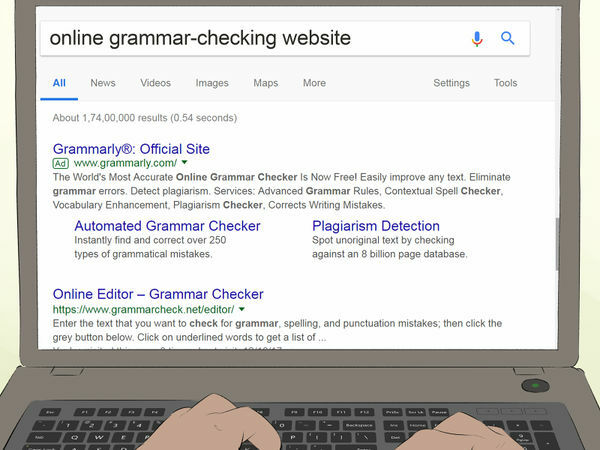 Search online to find a grammar-checking website. These are sites that allow you to cut and paste your text into the site so it can be analyzed for spelling and grammar. You can find both free and subscription-based options with most grammar-checking websites. The paid options come with more advanced features than the free, basic version. This is particularly convenient if you mainly write online and don’t have other grammar-checking methods available. Some of these websites are hosted by grammar-checking software companies, and others are strictly online services. Dedicated grammar-checking softwares are designed to find more grammatical errors and exceptions to rules than word-processing programs or online resources. Search online to browse the different software options, and make your decision based on what features you desire and personal preference. Purchase the program from a computer store or online. You can also find free versions of the softwares if you want to try a basic version before you purchase it. However, the free versions do not check grammar as thoroughly as the paid versions. Along with checking for grammar issues, you will also need to check your work for content issues, spelling errors, and proper formatting. It is wise to review your work more than once to effectively complete all of these editing tasks. Focus on 1 issue each time you read through what you have written, and after you have adjusted your work, move on to the next editing task. Don’t try to read through your entire work multiple times in a row. Give yourself a break after each read-through. 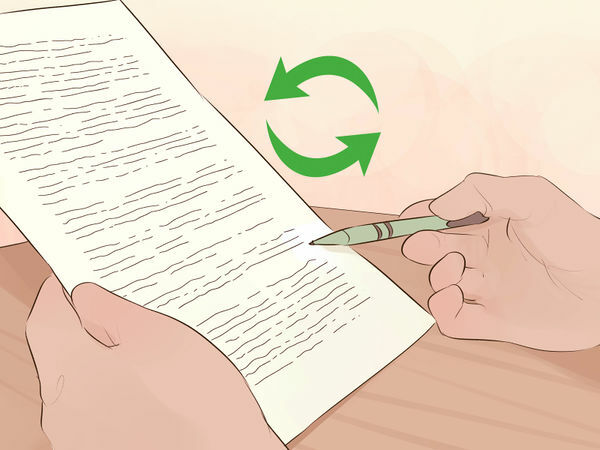 Also, if you have a long piece of writing to review, divide it into smaller sections to make reviewing it more manageable. For best results, take a break from your writing before you proofread, whether it be for 5 minutes or a few hours. By taking a quick break, you can get a fresh perspective and catch more mistakes. In addition, take your time as you edit so you can fix any and all grammatical and spelling errors. If you rush through the editing process, you’re more likely to miss errors. Take a breath, clear your throat, and say your piece out loud to yourself. Start at the beginning and read each sentence until you get to the end. 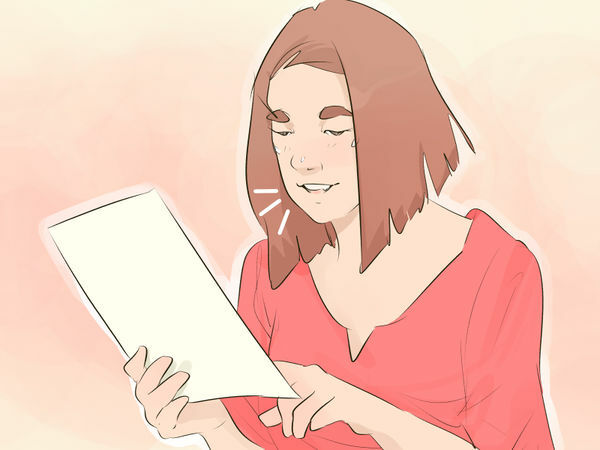 Reading your words out loud helps you notice the words individually, making it easier to point out awkward language and catch mistakes. 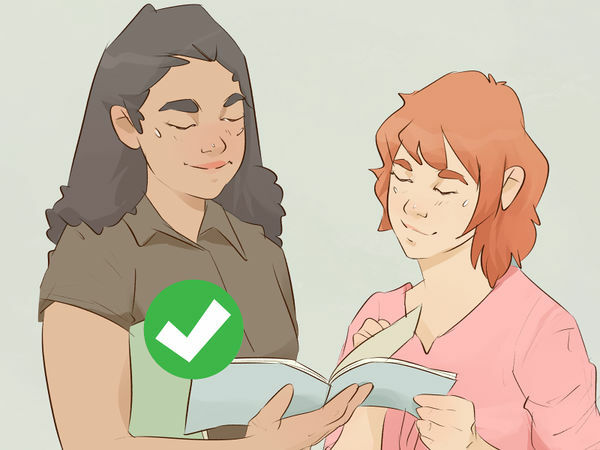 After reading over your work multiple times, the words may seem to blend together, and you may overlook subtle errors. To catch inconsistencies, try reading your work starting at the end and working your way to the beginning.. You can read over your work to yourself or read the words out loud as you do this. If you have trouble catching all of your typos or grammatical errors while editing on-screen text, try reviewing printed text instead. Many writers find this easier during the editing process because you can write your corrections directly on the page. 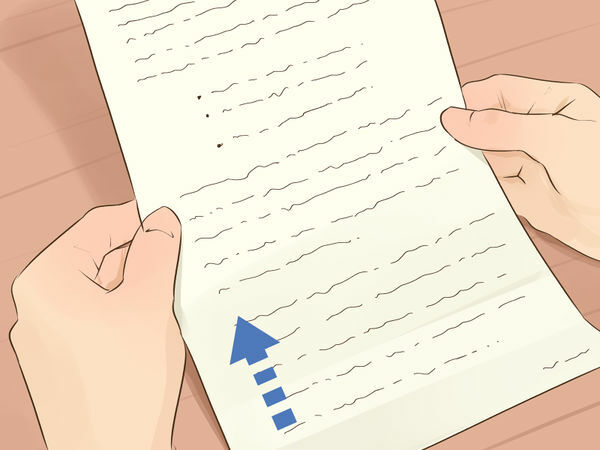 Try printing the text double-spaced so you have more room to make corrections. As you skim through your piece, watch out for any spelling errors or sentences missing punctuation. In addition, pick the correct punctuation mark for each sentence and double-check your comma usage. This may seem basic, but accurate spelling and punctuation are critical when polishing your piece. In particular, make sure each proper noun is capitalized and spelled correctly. If you are unsure of how to spell a proper noun, search the word online to find the correct spelling. The subject of your sentence is the thing, person, or idea that is doing the action in the sentence. As you edit your piece, note if the subject is singular or plural, and ensure you have the right verb for each subject. If the subject in your sentence is singular, the verb of the sentence also must be singular. If the subject is plural, the verb also must be plural. 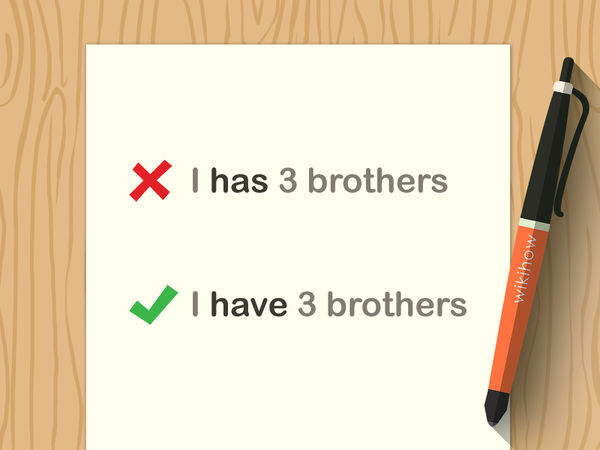 For example, if your sentence reads “I have 3 brothers,” then “I has 3 brothers” is incorrect. If your writing is inconsistent, it lowers the credibility of your piece. 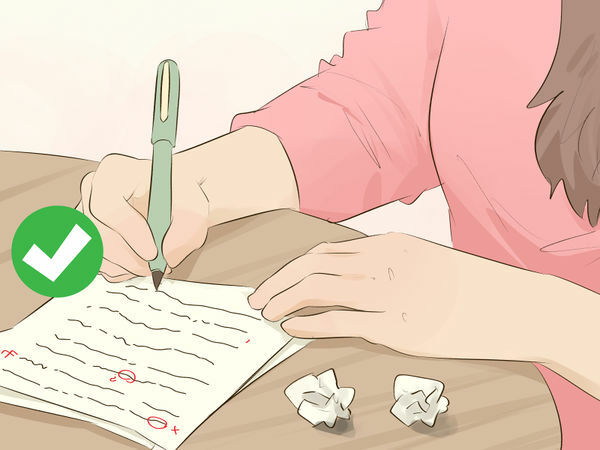 Choose whether or not to hyphenate compound words, such as “in-laws” versus “inlaws.” Decide if you want to use symbols and numbers or if you want to write out each word instead. 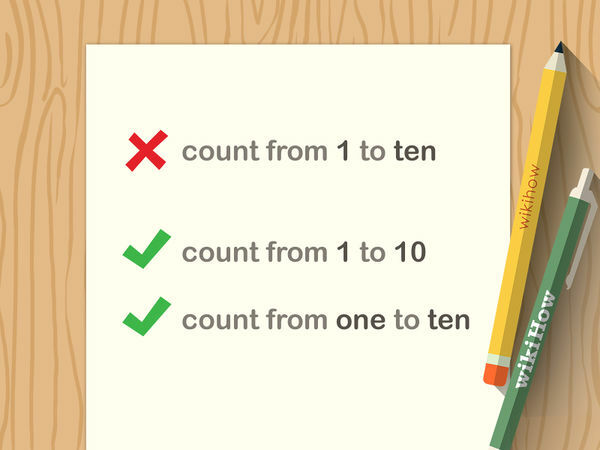 In addition, either use contractions or spell out the words completely, such as “cannot” or “can’t.” For example, if you are using numerals such as 1, 2, and 3 to write out numbers, use them for each number in your writing. If you aren’t using numerals, spell out each number instead. 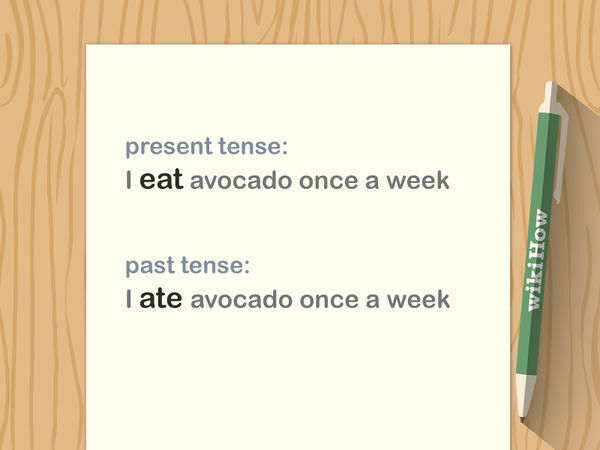 Avoid using contractions in formal writing. Check the guidelines provided by your teacher if you are writing for a class. If you are writing the piece for another purpose or if your teacher has instructed you to use a specific style, you can consult a style guide, such as MLA, APA, or Chicago.